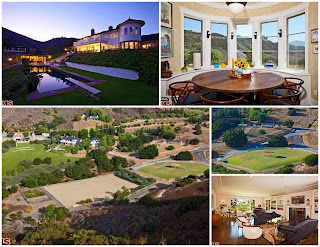 We are about 3 months late in reporting this but the home of film producer James Wilson (not the founding father) came on the market in Calabasas on October 17, 2011 for $24.995 million which is currently the most expensive property available in Calabasas today (according to Zillow, this property was first listed back on June 4, 2010 for the even steven number of $25 million). This place is massive and has every amenity available. Wilson is the Oscar Award-winning producer of the 1990 film Dances with Wolves. He also produced The Bodyguard, Wyatt Earp, The Postman, and Message in Bottle or basically every film that Kevin Costner starred. 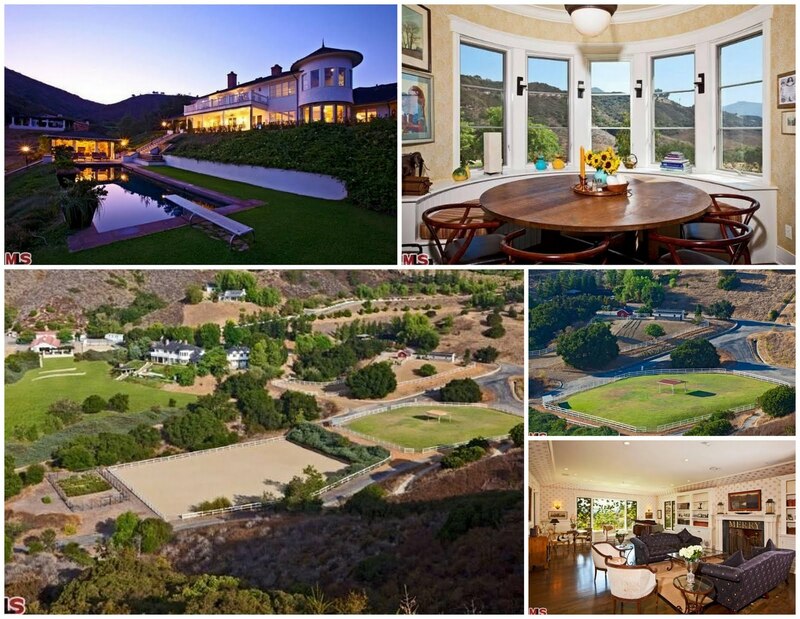 Enchanting 190 Acre Equestrian Ranch located in guard gated Calabasas Park Estates. Nestled in a private valley, through gates & down long private road, this spectacular & unique property provides an exclusive retreat & an exceptionally tranquil setting. Custom built in 1999, the apx. 7,500 sq. ft. Traditional Farm house offers a wonderful blend of classic country living & modern day elegance. Formal entry, living room, formal dining room, & spacious family room with adjoining breakfast room & Country gourmet kitchen. Luxurious master suite. The property is truly incredible & offers various structures, expansive grounds, & a multitude of options for boundless entertainment & recreation. Equestrian features include 16-stall horse barn, sand riding ring, 1 acre horse pasture, & miles of private trails. 2 full guesthouses, pool, spa, cabana, gardens, N/S clay tennis court, duck pond, & fruit orchards. Rare once-in-a-lifetime opportunity to own a private valley & enjoy true ranch living. Wilson originally purchased this home on July 18, 1996 for the measly sum of $2,265,000 which seems like it was mostly a land purchase since the home was built in 1999. If Wilson were to sell his estate for close to $25 million that would represent close to a 10x gain in around 16 years which is truly amazing. Whatever Wilson settles for, I have learned that I need to be a movie producer and purchase lots of land. When first viewing this property, the size and horse stables reminded me of the old movie and celebrity ranches of the Valley back in the 30's and 40's termed by Kevin Roderick as "Valleywood" in his book America's Suburb. So following the trend from the 30's and 40's, I imagine this property will be subdivided into a 100 luxury estate homes if permitted. One last note, if Wilson is serious about offloading this property, it seems he needs to pursue some drastic price cuts because its not moving after being listed for almost 2 years. Of the 190 acres for sale, how much is usable and does a buyer today want all that land and maintenance expenses that go along with it? 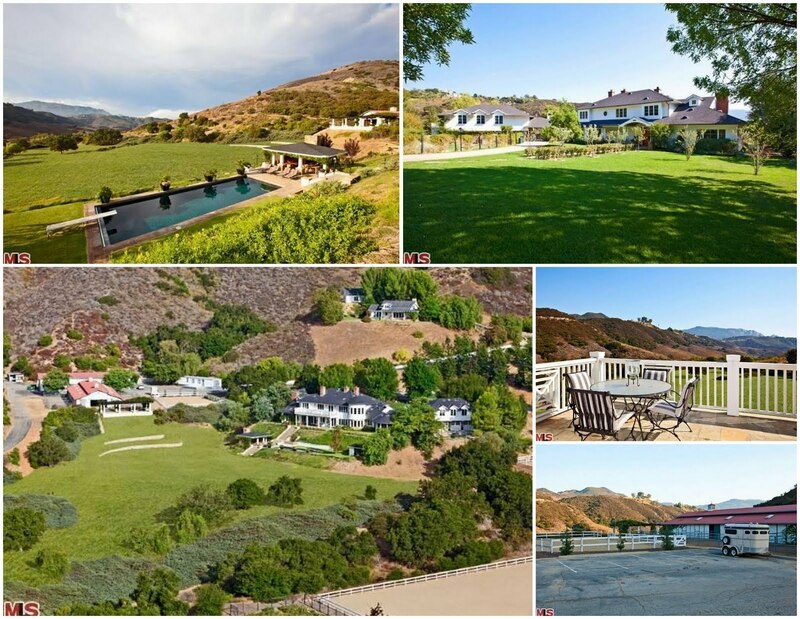 Only time will tell but its still a nice property or would a buyer be more interested in the old Sinatra estate in Chatsworth for $12 million. 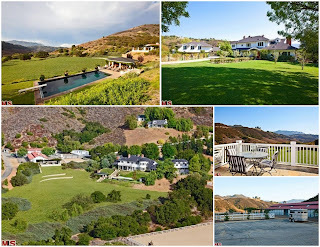 1 comment to ''Celebrity Real Estate: James Wilson Lists Colossal Estate in Calabasas for $24.995 Million"